How to maintain your WordPress website and keep watch? 19 Tips! How to maintain your WordPress website and keep watch? Your business website is online and it is running on the WordPress platform I suppose. So do you think you can simply forget about everything and just focus on creating content and marketing your business? Well, I wish. But that’s NOT the case. When you have a WordPress website (or a website on any other CMS for that matter), you should spend some time regularly to maintain the website and keep watch. What happens when you don’t “maintain” a WordPress website? Well many things can happen depending upon what goes wrong or what builds up. Just like your house that builds up dirt, dust and mess when left uncleaned/unmanaged, your WordPress website can also build up mess. This can lead to bloat in database. You may also end up having un-updated website which will give a bad impression about your site to both search engines and your readers. So let’s waste no more time and find out about the maintenance tasks involved. As a website owner, comments are tricky! They can be a blessing or a curse. When you are starting out, the few good comments you get from people around will keep you motivated. The comments help you to see that people are reading your content and appreciating your hard work. At the same time, you will also get tons of spam comments made by both bots and humans. Just automatically approving all comments (spam and genuine) will make your website look spammy. New commenters will simply hesitate to leave a comment on your site if your comment section is loaded with spam comments – everyone will clearly know that you have abandoned your site! Which is why comment moderation comes under maintenance task – leave it unattended for a while, the unapproved comments waiting for you skyrocket causing a bloat in your database. Depending upon how active your website is, you might have to undertake this task quite often. Sometimes, daily. Also comments are a crucial part to building your blog’s community – so make sure you regularly moderate comments (approve, mark spam, trash) on your website, and as well as respond to comments! Broken links are usually a pain. There are links that are added by you and there are links that are left by your blog readers, say in the form of comment urls. Now, having broken links on your site does affect technically. 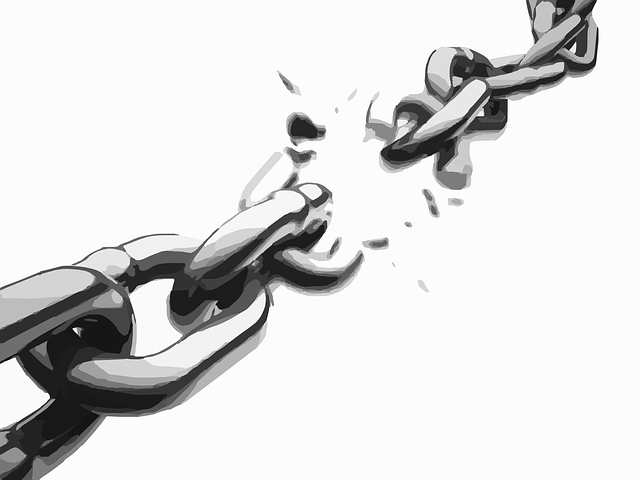 Google sees your site as un-maintained if you have quite a lot of broken links. The links on your site are totally your responsibility no matter whether you put them or others put them. Having said that, constantly finding out broken links and deleting them can be a tedious thing to do! You can use the online broken link checker tool or use the broken link checker plugin. Note that you need not always have this plugin activated on your site. Just install it and keep in deactivated. Activate it only when you need to check for broken links. You can do this exercise once in a month or once in a fortnight depending upon how busy your site is. Your WordPress website most likely uses quite some plugins and scripts in addition to the core WP files. The developers of those plugins/scripts release updates periodically to avoid conflicts and assist smooth functioning. Usually in your WordPress backend you will be notified of any available plugin updates. When you see such notification, do not ignore it. However, do not do an update right away on your live website. It is good to have a clone of your website as a private blog. First, update the corresponding plugins on your test site and if everything functions well without breaking stuff, you may go ahead and do the update on your live site too! Ignoring update notifications and having un-updated plugins/scripts on your website could make your site vulnerable to malware attacks as well as cause incompatibility issues, sluggishness and so on. Your website is your asset in the online space. All the information (in the form of files) are stored in your web hosting space. And if anything goes wrong (like your website getting hacked, or if a malware erases certain data files or the core files), the information on your website can be lost forever. I am sure you cannot! Which is why you need to take regular backups of your website. Most of the web hosting providers offer this option of daily, weekly or fortnightly back ups. You should check with your web hosting provider before taking up your web hosting plan. 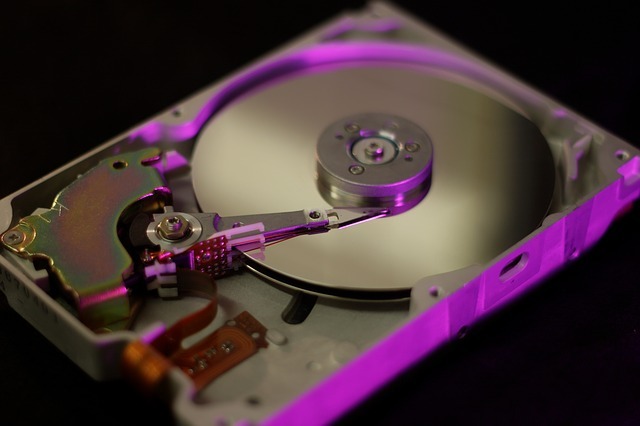 Even after you have taken up hosting, you can always check with your hosting company about the backup options they are offering. Also make sure if they are taking a complete backup or only a database backup. Make yourself clear of any doubts you might be having about restoring your site’s content in case anything goes wrong. Having said that, you can also do backup at your side by using plugins or other services. Here’s some help: How to backup your WordPress website before installing new themes or plugins? There are also a handful of decent plugins available to do the job. A few that I’d recommend are BackupBuddy, VaultPress and BackupWp. Your WordPress database can get bloated over the time. If you are regularly updating your WordPress website with new content (which you should be), then your database will get fat over the time. Your WordPress database is everything your website is – all the posts, images, comments, settings of themes and plugins etc. are stored in the database. A bloated database will make your website sluggish. It causes delays in the retrieval of data and hence your website will be slow. Which is why you need to periodically cleanup and optimise your database. Here’s some help on how to do it: How to clean up and optimise your WordPress database with the WP-Optimize plugin? Having a fast loading website is very crucial to please your readers as well as to gain an edge for rankings in search engines. People are too busy these days to wait for more than 3 seconds for a webpage to load. Further, the internet is overloaded with information. This means, your visitors don’t have to wait for your website to load! If your website takes more than 3 seconds, they can simply choose to click the back button and look for the same information elsewhere. 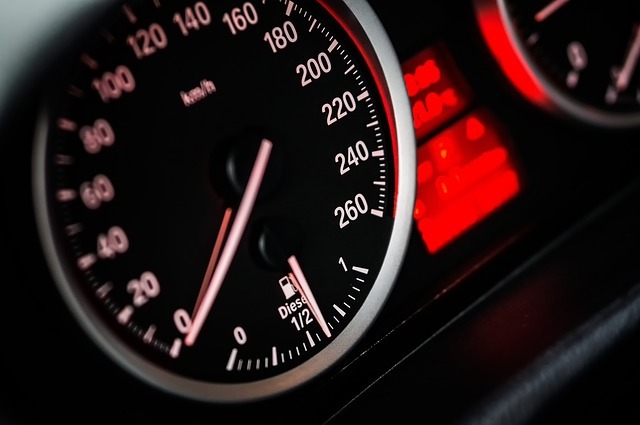 For more detailed information of optimising your site’s speed check out this post. But most of the tasks that require speed optimization are things that have to be performed on a regular basis – which is why they come under “maintenance” tasks. As you continue to use your website, update it, add more data etc. You might be adding more and more junk that causes bloat. Certain tasks though need a one time set up or fine tuning. If these are too much for you as a blogger, opt for our dedicated speed optimization service so you can forget about it! Google Search Console is a great thing for website owners where you can get helpful suggestions to improve search traffic. You can also set some technical parameters right to fine tune your search traffic. If you are having a website and don’t yet have a Search Console property set up, you should do it right now. You should also make sure that you have submitted your site’s Sitemap to Search Console account. Here’s how to do it > How to submit your website’s sitemap to Google Search Console. But once you set up your site’s property at Search Console and after you have submitted the sitemap, don’t assume all is done. You will have to regularly check your site’s Search Console property because you will be getting valuable information there often. You will be notified of any malware attacks, or if your site has been affected by any Google updates, you will have a notification in your Search console account (which you should never miss). You will also be able to take a look at the crawl errors – which mean that certain pages of your website are not accessible by the bots (not good for SEO). If you know about those pages, you should make the necessary technical correction to rectify the issue. Also you can see the 404s, which you must regularly check and fix. Your website’s feed is very important for various things. 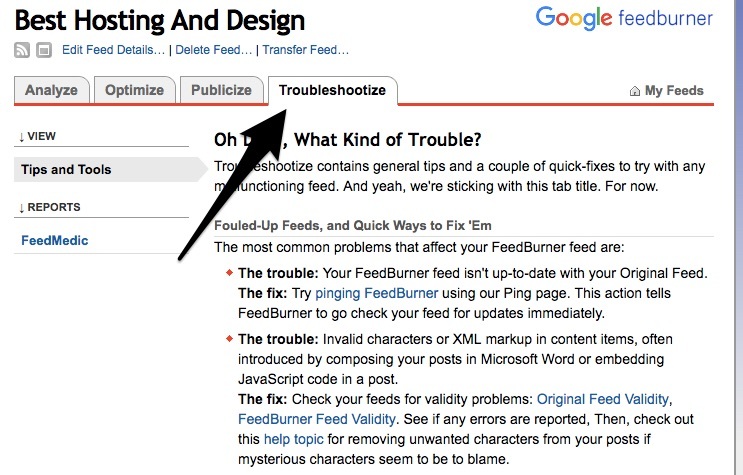 For one, when your site gets updated with new content, your feed gets updated immediately. And this helps many syndication services to get notified of new content. Heard of Feedburner? Feed readers? Yes, feed subscriptions are a great thing to a website’s traffic. If you have a proper feed for your website’s content, people can subscribe to your feed via various feed reader options. One such feed reader is Feedly (that I pretty much use regularly). When someone subscribes to your site’s feed on any of the feed readers, they will be instantly notified of any new content you publish. 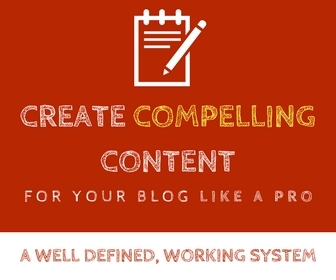 This is a great way to promote your content almost on autopilot. But feeds can break at times due to a plugin conflict or due to any other technical reason. And if your feed breaks for any reason, your feed subscribers won’t be notified of any new content that you publish, because your feed won’t be updated! 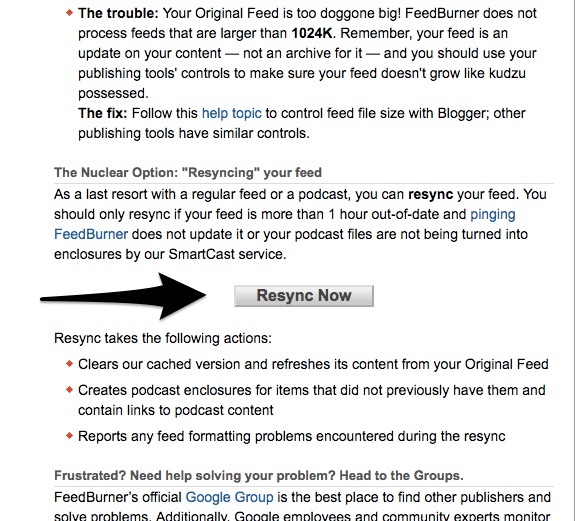 If you are using Feedburner to burn your site’s feed, you have the option to troubleshoot your feed issue and also to resync so all of your site’s content gets synchronised with your site’s feed. WordPress gives you the opportunity to create user accounts with different permissions like Admin, Editor, Author and so on. There are also a few plugins available that lets you create user accounts with even more defined permission levels. You might have created some Editor accounts if you have team members who work with you on managing your site’s content. If you reach out to the support of third party plugins or themes, they might request an admin account to troubleshoot the issue – so you might also end up with a few admin accounts. Now over the time, many of those accounts would go dormant. For one, you might not need subscriber accounts if you are running a simple blog. Unless you have a database of users that form a community or if those users are part of a paid program, you don’t need mere subscriber accounts. Also those admin, editor or author accounts you created could become dormant over the time. You have to identify such accounts and delete them periodically. They not only add to the junk, but can also be used for hackers to easily enter into your website! Here’s how to do it. 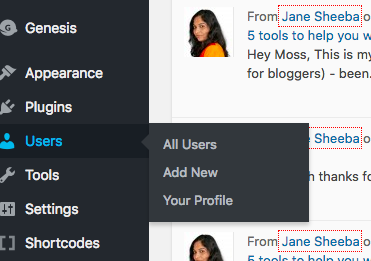 Go to your WordPress dashboard and look for the Users tab on the left menu. Click on All Users. You will see a list of users. Review them and take action appropriately. A 404 error is similar to a broken link but it is not a permanent thing like a broken link. A 404 means that the requested web page could not be currently found by the server. Even though a 404 is not a permanent thing, having 404s on your site leads to dead ends and bounce backs. When your visitors encounter a 404 page, they will be inclined to leaving your site. So how to identify and fix 404 errors? Google search console comes to your help here. If you already have your site’s property on search console, when you check on it, you will be seeing a report for 404 errors. 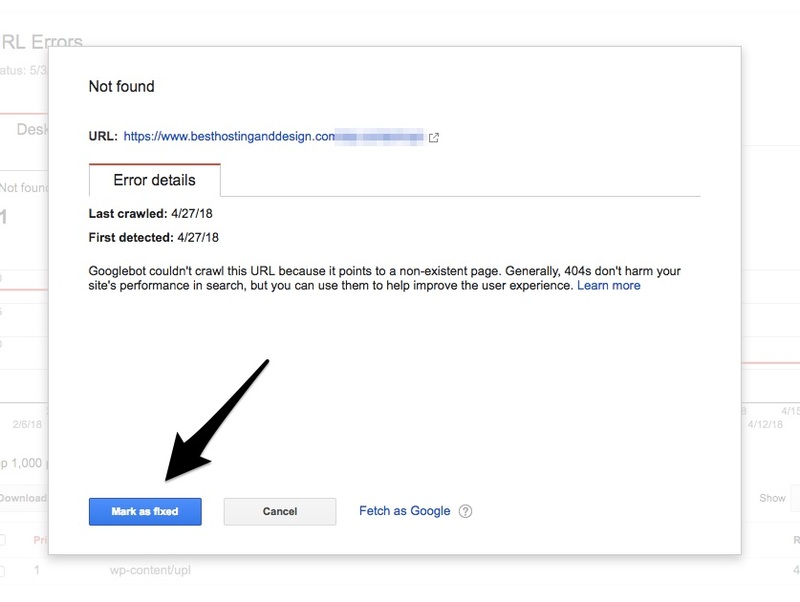 Inside your search console dashboard, click on Crawl > Crawl errors. You will see the list of errors your site has. Now, you might have linked to those 404 pages from within your site or those incoming links can come from another website. In order to fix them, you can either put up a redirect, or make corrections in the URL in case there is a typo. If the link comes from another site, you might want to contact the site owner and request a change. 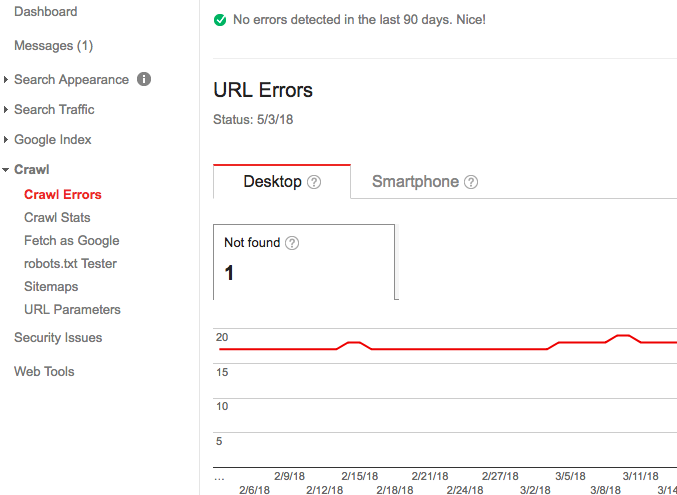 Once you have worked on the link, you can mark them as fixed in Search console and wait for a few more days for the errors to go away and any possible new errors to come in. Your website’s traffic is of no use unless a reasonable percent of it gets converted. Now, conversion can mean anything for you depending upon your business. For some, it could be the users joining their email list. To certain other businesses, it could be that their users download a trial version of the software. For some others, it could be making a purchase. Whatever your conversion goal is, make sure you have the conversion elements in place and more importantly, that they are working properly. For instance you need to check on your site’s sign up forms, download links, pay now buttons, cart buttons, and any kind of call to action (CTA) links. There is a great possibility that any of these could be broken for several reasons (a plugin conflict, a typo, a technical fault etc.). You need to keep an eye otherwise you will be losing valuable conversions! This one is a biggie. If you are serious about your business, content marketing is something that you should carry out seriously! Content marketing has a LOT of benefits and it stands as a crucial thing to push your business forward in various levels. A few of those include building trust with your customers, being useful to your customers, gaining traction, gaining an edge on SEO and so on. So if you ever want to succeed with your online business, make sure you regularly update your website with fresh content. Not only your readers will be happy, but search engines also love fresh content. Your chances of doing well in search engines naturally increases with regular content. In addition, if creating great content is something you constantly struggle with, don’t hesitate to pick up my content creation course! You probably already know that your website’s security is quite crucial. Malware attacks, DDOs attacks, hackers attempting to login to your site via brute force – there are many ways in which your site could be under threat. One of the ways in which hackers can attempt to enter into your site is via your WordPress login. 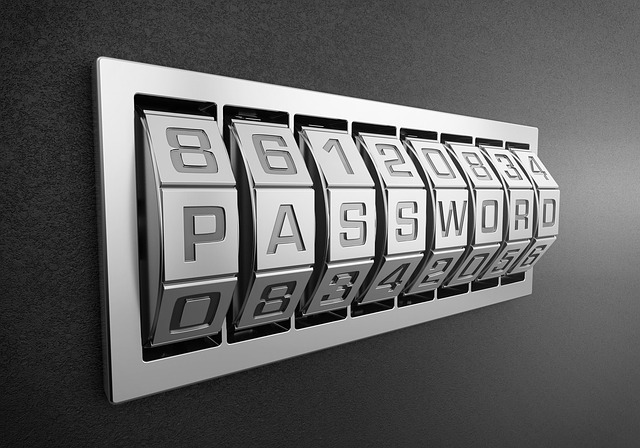 There are codes to crack passwords. Hackers can also do a brute force login attempt where someone vigorously tries to enter various passwords until finally they succeed. In order to avoid such risks, make sure you keep changing your WordPress login password periodically – and always do have a very strong password. Images are a very crucial part of your website’s content. Especially in today’s age, people only pay attention to visually appealing content. 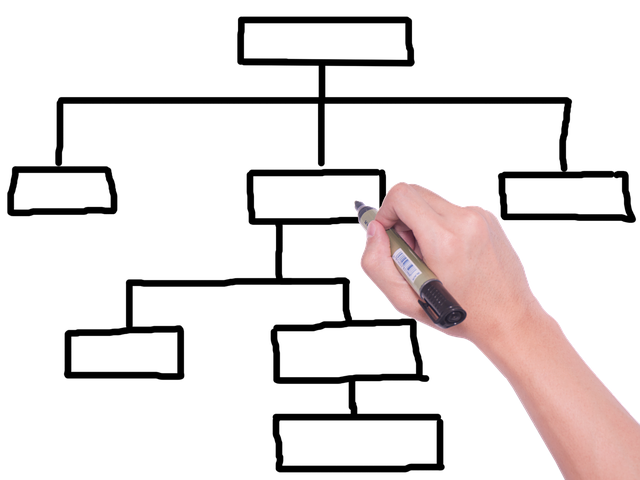 Putting up blocks of plain, boring text will not entice your readers to read through your content. To make it easy of the eyes, and also to make your content visually appealing you should be adding images. Now, you can add images of various types – images to supplement your content, screenshots to add educative element to your content, or funny images to engage and entertain your audience. No matter what kind of images you use and no matter how many images you use, you must always optimise your images BEFORE you upload them to your site. This not only helps to keep your site optimised, but also can reduce the amount of disk space you end up using in your hosting package. Plus yes, it affects how fast your website loads! Here are some tips to help you with optimising images. Don’t give me that look. By theory, you have to update your sitemap regularly whenever you put out fresh content. 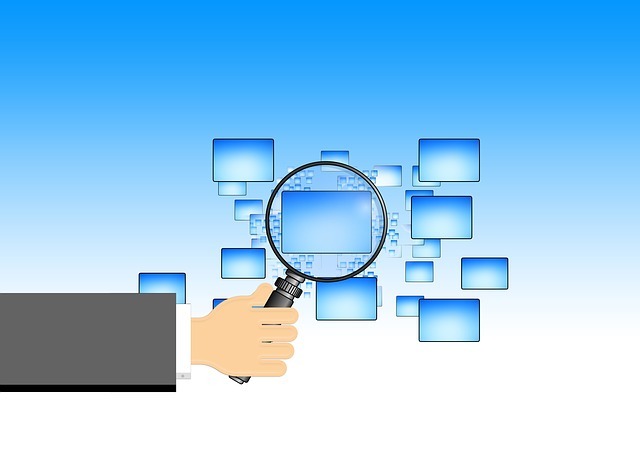 Wait, so what is a sitemap in case you don’t know about it? Read this post to find out. So you haven’t been updating your Sitemap manually so far? Don’t panic. Most probably a plugin is doing it automatically for you! Just in case, give a double check to see if your sitemap is being updated regularly by whatever plugin you are using for that purpose. Themes and plugins play a very crucial role in the looks and functioning of your WordPress website. You cannot have a website without these. Apart from the very basic and very essential features, some plugins and scripts are required to add some cool features to your site. And in this massive internet era where people love visually pleasing stuff, it is somewhat essential to add some cool features. But when you try out a cool feature and over the time when it becomes of less interest to you and your readers, that particular plugin or script would just stay there, even if you have stopped using that feature. The same applies with themes. You upload and install a theme to your website, but when you don’t like it, you move on to upload another one. Mostly, you forget about the ones you uploaded and never chose to use. Those themes use unwanted space on your website. And if they stay un-updated, they might open doors to malware attacks. Visit your themes and plugins section often and see if you have any inactive ones; if you find any delete them. Just like themes and plugins, there are usually many media files on any WordPress website that are not used anywhere. Sometimes, bloggers upload different versions or different sizes of the same image but end up embedding only one of those inside their content. Or there could be media files (mostly image files) of blog posts that you decided to delete. Even after you delete the blog post from your site, the embedded images stay in the media folder. Once in a while, make sure you visit the Media area of your website and browse through to see if there are any un-used media files. This one is a biggie and I’ve even seen many big companies’ websites that look awful on mobile devices. 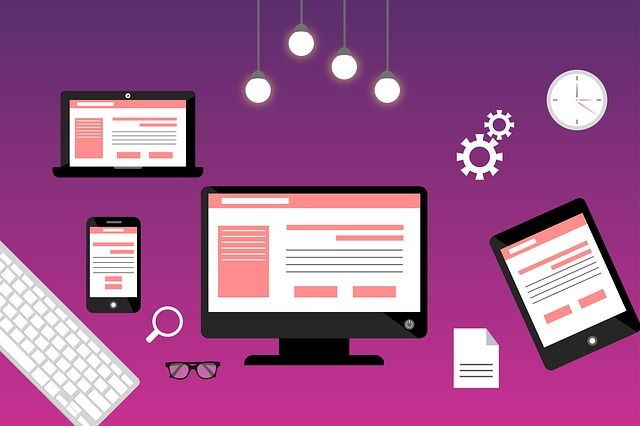 While website owners take good care of their website’s design on a desktop or a laptop, many (even in this era) totally forget about mobile devices. As of August 2017, people accessing the internet using mobile devices form 52.64 percent of the total global online traffic. 80% of the internet users own a smartphone and they are more likely to access the internet from their mobile device. 57% of users say that they won’t recommend a business with a poorly designed mobile site! Google says 61% of users are unlikely to return to a mobile site they had trouble accessing and 40% visit a competitor’s site instead (ouch!). 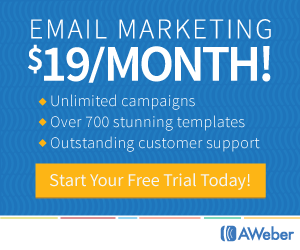 70% of consumers delete emails immediately that don’t render well on a mobile device (oops!). So don’t forget to let your web designer know that you are really serious about having a mobile friendly website. We at Best Hosting And Design are pretty serious about that, and our web design packages always include a mobile optimised design for our clients. Many website owners, even the very well-established ones, make this silly mistake. They don’t check how their website loads and renders in different browsers. Not all people use the same browser on the internet. 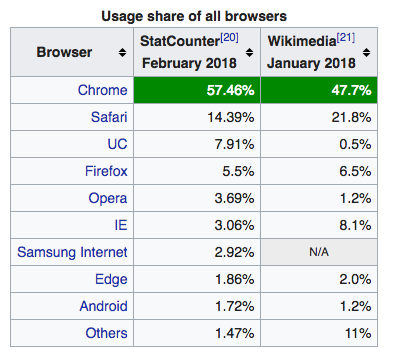 See here what browsers are popular worldwide – even it is a very small percentage shown in the stats, that still amounts to a huge number of people! And some browsers like Internet Explorer might need some additional code to be put while designing the website so certain elements render correctly. As a website owner, it is your responsibility to check if your website loads finely on all browsers. Especially when you make a change in your design, or install a new feature or a plugin, you should make sure to do a thorough check! While you check your website across the browsers, make sure you check various pages, images, certain features and things like that (rather than simply checking on your home page). There you go. Here are some of the most important maintenance tasks you need to perform if you own a WordPress website. Oh and I forgot to let you know about the important things you need to do right after installing WordPress so you don’t have to regret later. Now make sure you do these maintenance tasks on a regular basis to keep your website hale and healthy. If you do find it all way too overwhelming or if you are not finding enough time to focus on stuff that matters in your business (like content creation, promotion etc.) just hand over the job to us. We can do all the maintenance tasks your site needs for a quite affordable fee so you can focus on things that matter most. Either way, just don’t ignore a WordPress website. It certainly needs your care and attention to perform well!